Chemical-sampling wristbands made of silicone are already known as an easy-to-use method of measuring a person’s exposure to environmental pollutants. 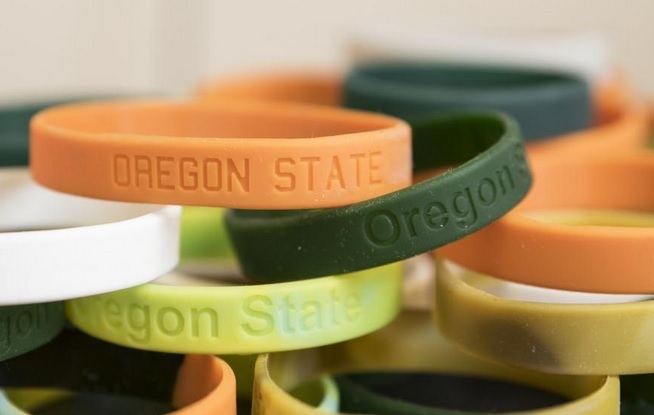 Invented at Oregon State University, the colorful wristbands absorb chemicals from the air and skin. A new OSU study shows that the wristbands are also very good at linking external chemical exposure—the substances that go into a person’s body—with the chemicals formed inside the body itself as it metabolizes these “parent” pollutants. These metabolites, as they’re called, are the best clue to what actually makes people sick. “The metabolites often become more toxic than the parent chemical,” said Kim Anderson, OSU environmental chemist and leader of the research team. The wristbands, she said, promise to help researchers connect the dots between a person’s exposure to polluting chemicals and diseases he or she may develop as a result. The chemicals studied belong to a class known as polycyclic aromatic hydrocarbons (PAHs), which are pervasive pollutants emitted by the burning of carbon-based fuels including gasoline, diesel, and wood. Oil spills and natural gas extraction also contribute to PAH pollution. Exposure to PAHs is linked to a variety of illnesses, including cancer, obesity, neurological problems and respiratory issues. The researchers compared PAH chemicals detected by the wristbands to those detected by backpack air-quality samplers, a common tool for measuring exposure to environmental pollutants. Twenty-two pregnant women in New York City wore both the wristbands and the backpack samplers for 48 hours. Then each woman gave a urine sample, which was analyzed for the metabolites of the PAH chemicals she was exposed to. Samples from the wristbands proved to be more closely correlated with PAH metabolites in the urine than the ones from the backpack samplers. The women were already part of an ongoing study of exposure to potentially harmful chemicals, now in its 20th year. “We were fortunate to piggyback on the work of colleagues at the Columbia Center for Children’s Environmental Health,” said the OSU study’s lead author, Holly Dixon, a doctoral candidate in Anderson’s lab. It’s already known, Anderson said, that findings from backpack air samplers don’t correlate well with urine metabolites. Until now it was assumed this was because the samplers don’t pick up chemicals ingested through the diet. While metabolite analysis assesses individual health risks from PAH pollution, she said, it can’t show precisely which chemicals—and in what quantity—a person was exposed to in the first place. 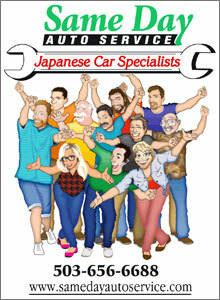 That’s because different people metabolize chemicals at different rates and in different ways. The backpack device is an “active” sampler—it has a battery-operated pump that forces air through a filter to collect chemical particles and through polyurethane foam to capture PAHs in gaseous form. In contrast, the silicone wristband is a “passive” sampler, with no moving parts—it picks up gaseous PAHs from simply being present in an environment, making it easy to use in a research setting. “The wristbands are a biologically relevant exposure-assessment tool that researchers can easily integrate into environmental health studies,” Anderson said. Anderson and her team invented the wristband samplers several years ago. They have been used in other studies, including one that measured Houston residents’ exposure to PAHs in floodwaters after Hurricane Harvey. The study, funded by the National Institutes of Environmental Health Sciences, was published in the journal Analytical and Bioanalytical Chemistry.